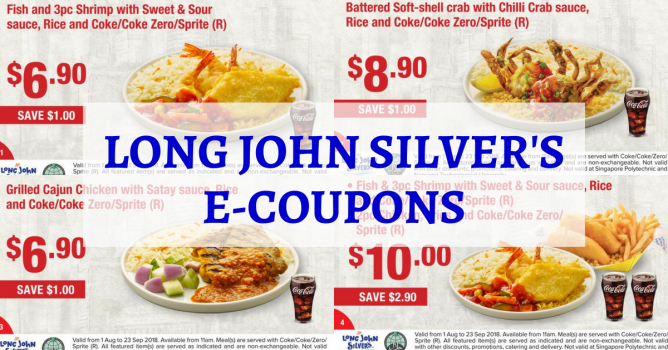 Home > Dining and Gourmet > Fast Food > Long John Silver’s: Save Up to $3.20 with E-Coupons! 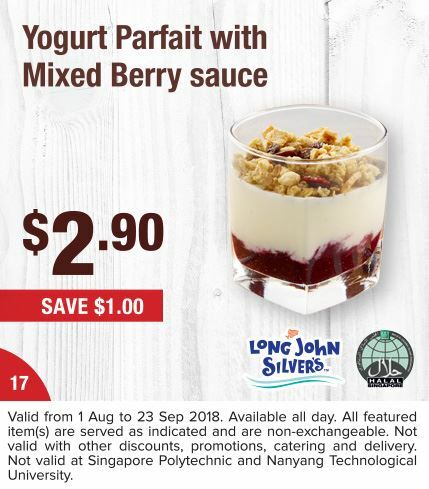 Promotion: Save Up to $3.20 with Long John Silver's E-Coupons! 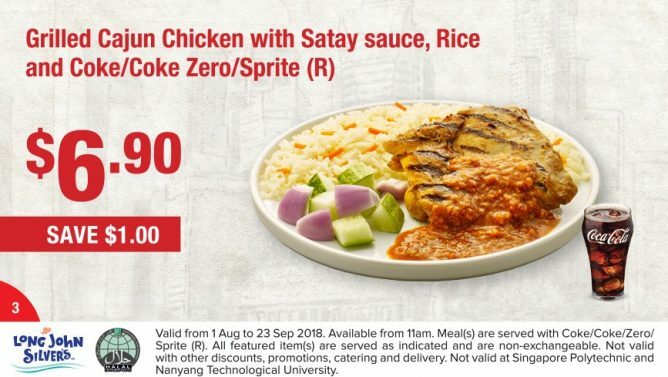 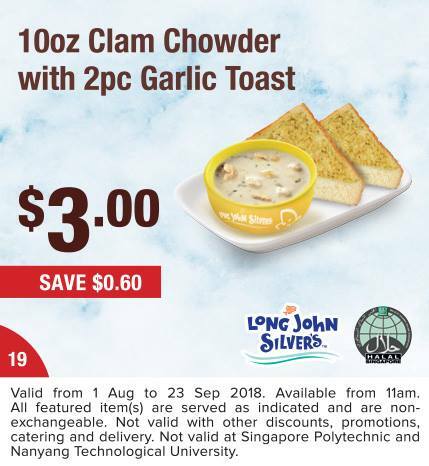 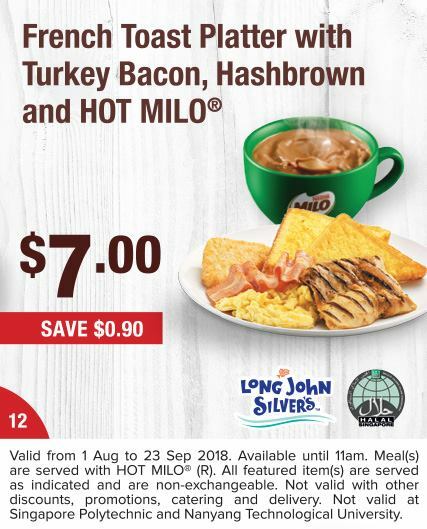 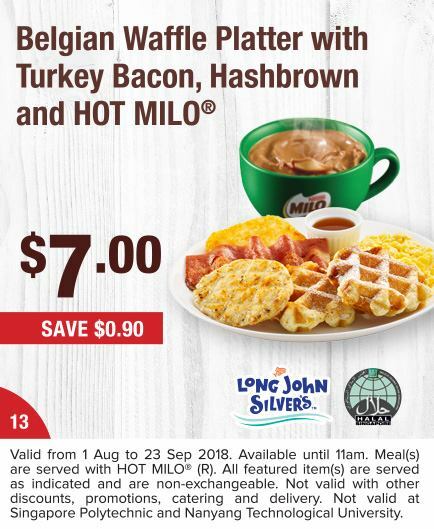 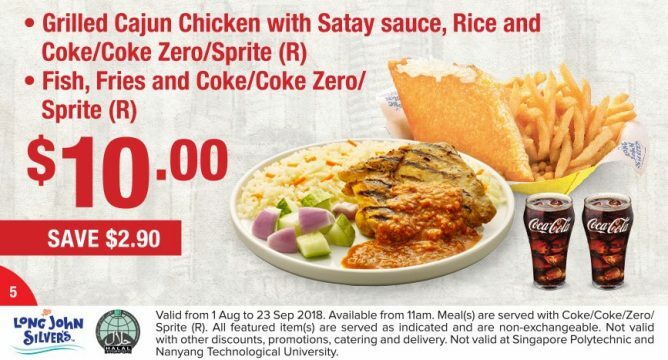 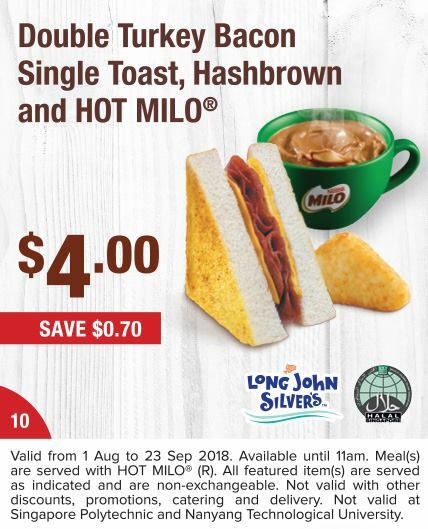 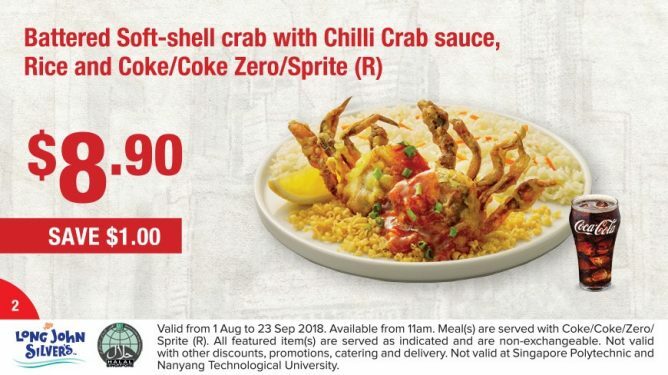 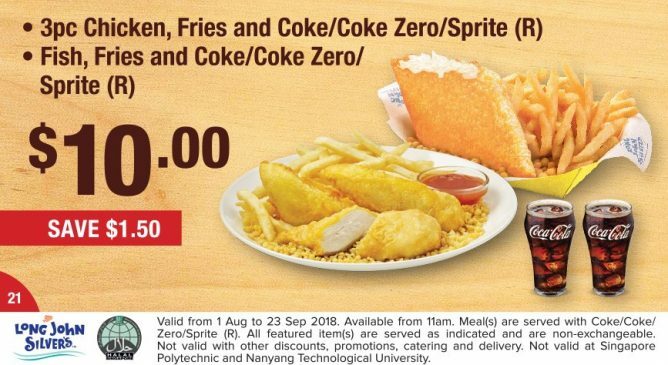 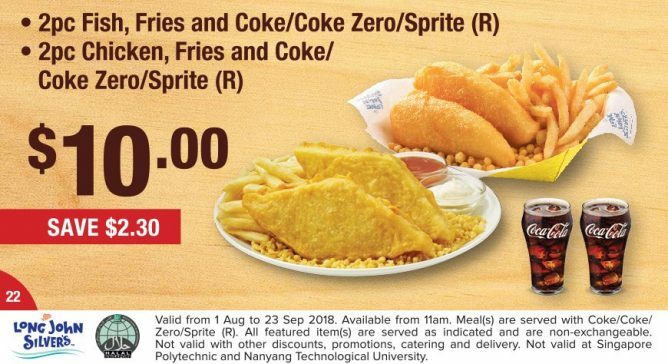 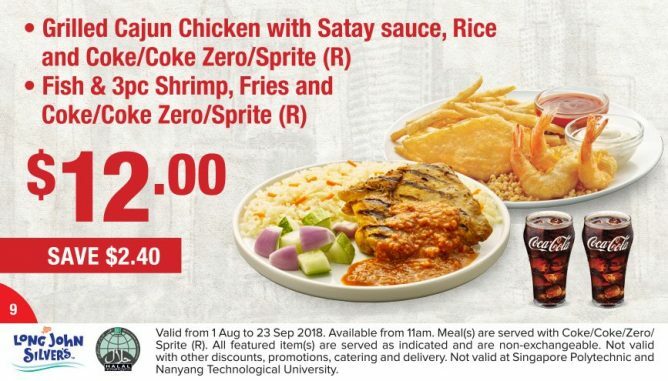 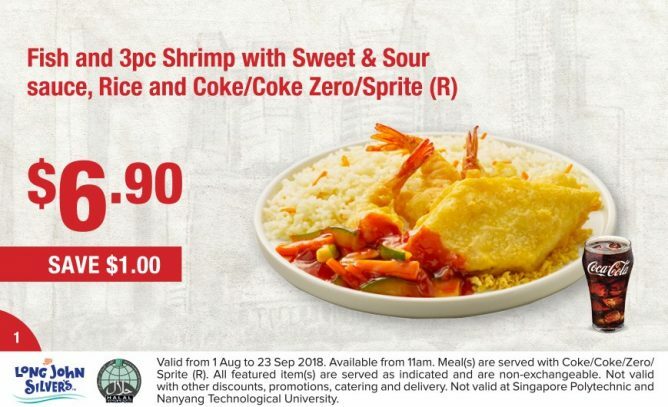 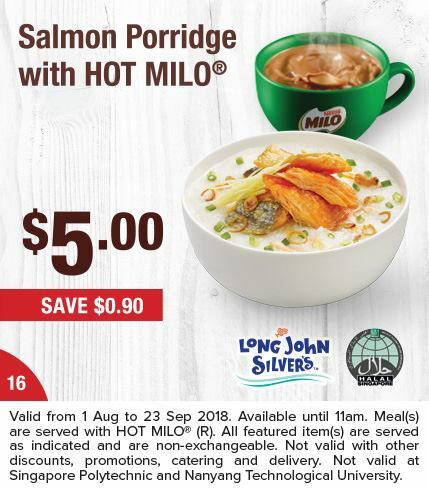 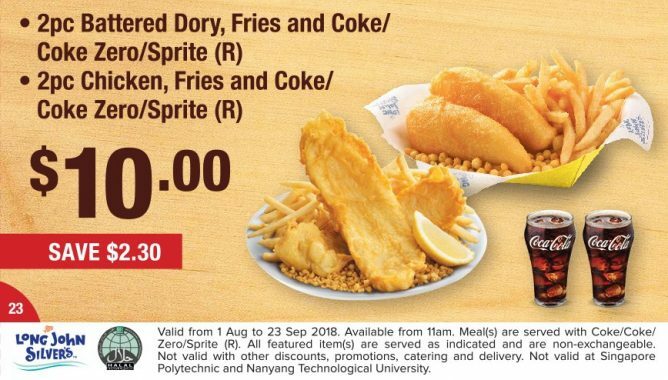 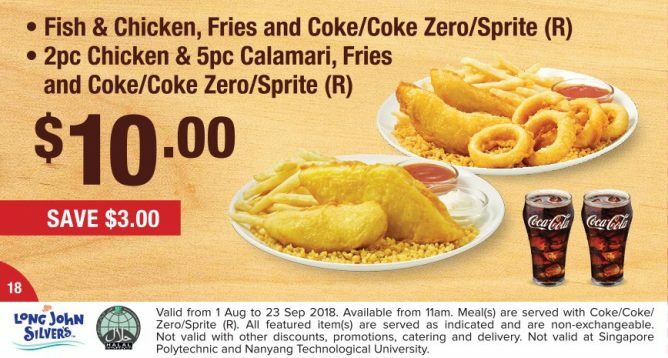 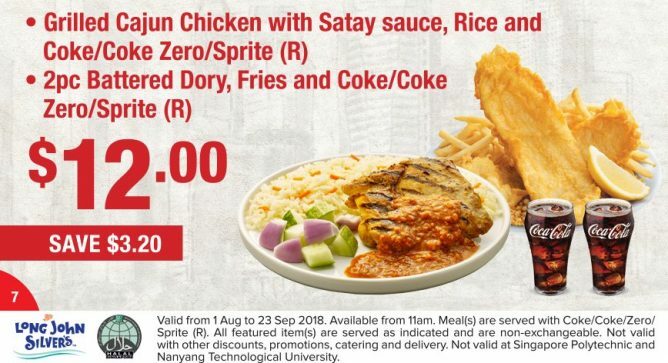 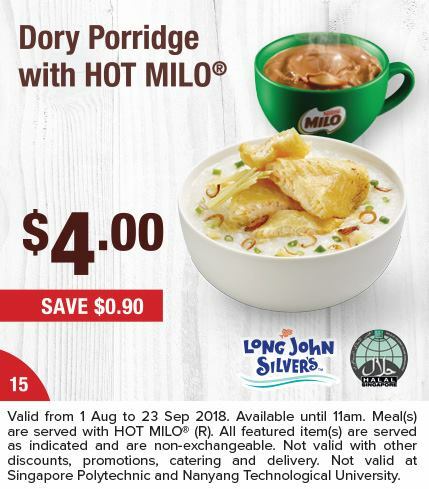 Valid from 1 Aug to 23 Sep 2018. 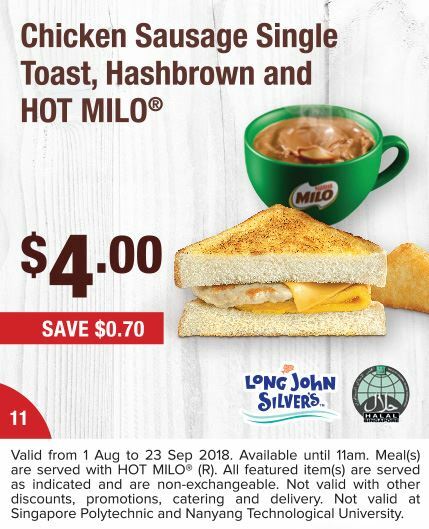 Breakfast available till 11am, other meals available from 11am. 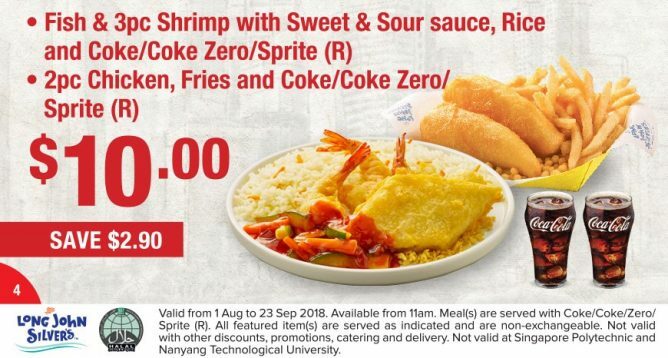 Meal(s) are served with Coke/Coke Zero/Sprite (R). 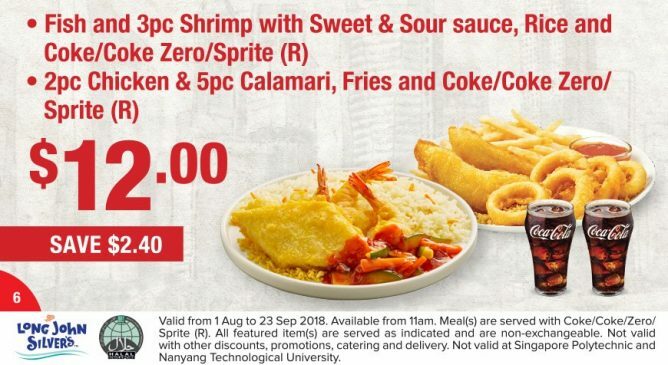 All featured item(s) are served as indicated and are non-exchangeable. 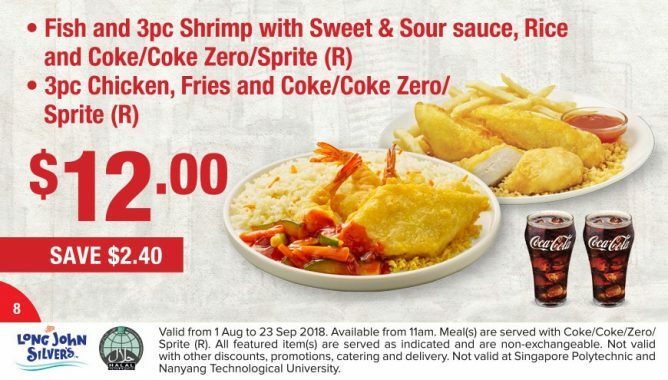 Not valid with other discounts, promotions, catering and delivery. 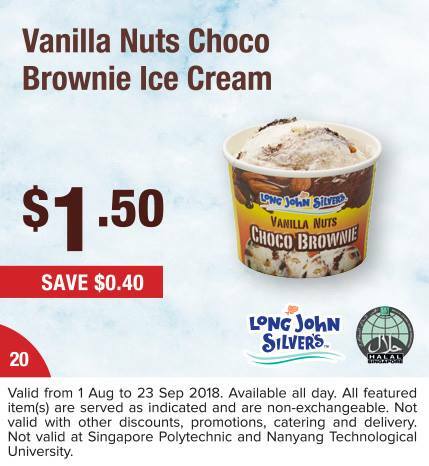 Not valid at Singapore Polytechnic and Nanyang Technological University. 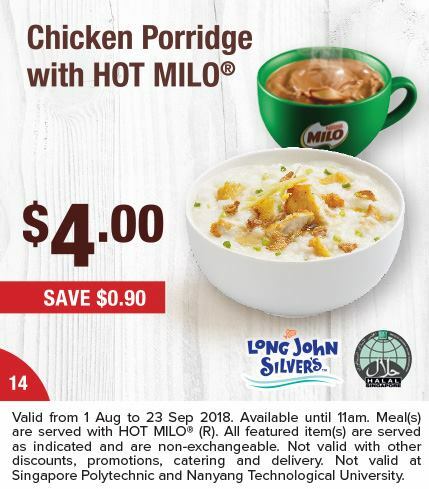 Previous: [Yoox] Long, short or asymmetric?